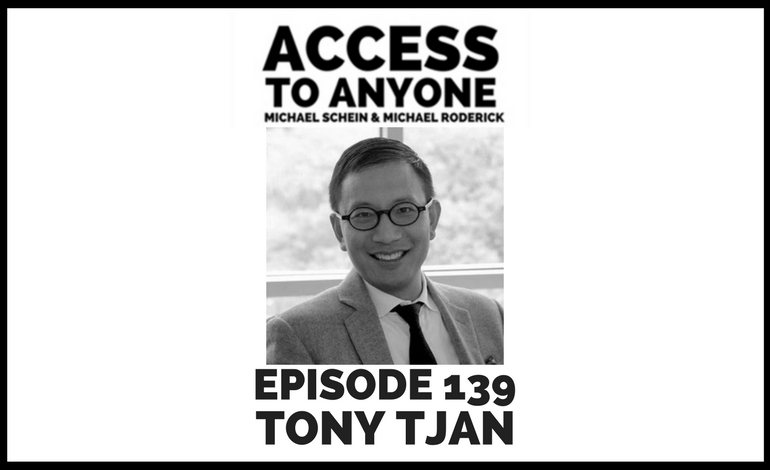 In today’s episode, we’re reaching into the archives to showcase one of our favorite conversations – bestselling author Tony Tjan. Tony Tjan was one of the first entrepreneurs to recognize the true commercial potential of the Internet. In 1996 he founded the web services firm, ZEFER (now an NEC subsidiary), which grew to more than $100M in annual revenues in a remarkably short period of time. His latest adventure is into the world of writing. His latest book, Good People: The Only Leadership Decision That Really Matters, is on a subject that lies beneath all his success and is the trait that all the best connectors have in common—impeccable personal character. Tony Tjan started his career with McKinsey & Company where he focused on consumer and media clients. Today he is a New York Times best-selling author, contributor to Harvard Business Review, and CEO of Cue Ball. He is one of the World Economic Forum’s Global Leaders for Tomorrow, has been a speaker at the TED conference, and sits on the boards of ScrollMotion, ShapeUp, Livefrye, and Miniluxe.